Indianapolis, IN – Completing the rookie orientation program in the #22 Comfort Revolution Brantley Gilbert Kingdom Racing DRR CGRT Chevy was first thing on the “to do” list. Once we knocked that off, we focused on pitstops and simply turning laps to get me comfortable with the car. I knew going over 217 mph wasn’t going to happen with the downforce and setup we had on the car today. But, the DRR crew is a professional group and they kept to the focus. Dario Franchitti, my driving mentor, stepped in and offered some great advice immediately after I passed Rookie Orientation. Having Dario as my “go to” guy is certainly a blessing. Driving the IndyCar is a lot different than the Lights car and requires me to change some things about my style. The changes aren’t big, but change is required. I couldn’t believe the energy and interest from the fans today! The turnout was amazing and I never signed so many autographs in my life! There are so many people with such a passion for racing in this area of the country. A lot of people commented about how great the car looks! Tomorrow I will take the the track and hopefully we will take some wing out and increase my speed. I have total faith in my crew and I won’t let them down! SAGE KARAM WINS 2013 INDY LIGHTS CHAMPIONSHIP!!! 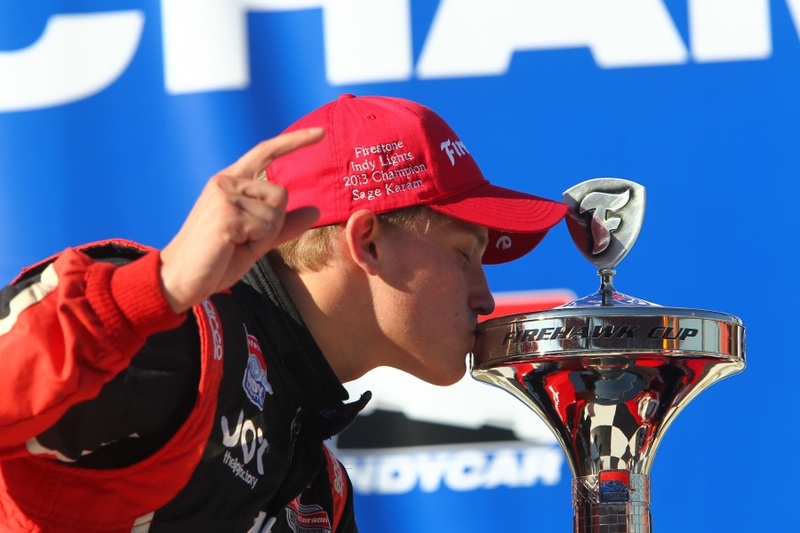 Fontana, Ca (Oct 19,2013) Sage Karam, at only 18 years old, became the youngest winner of the Firestone Indy Lights title in his rookie season. Karam competing for Schmidt Peterson Motorsports, placed 3rd in today’s race to secure an 11 point lead over his teammate and former GP3 racer, Gabby Chavez. 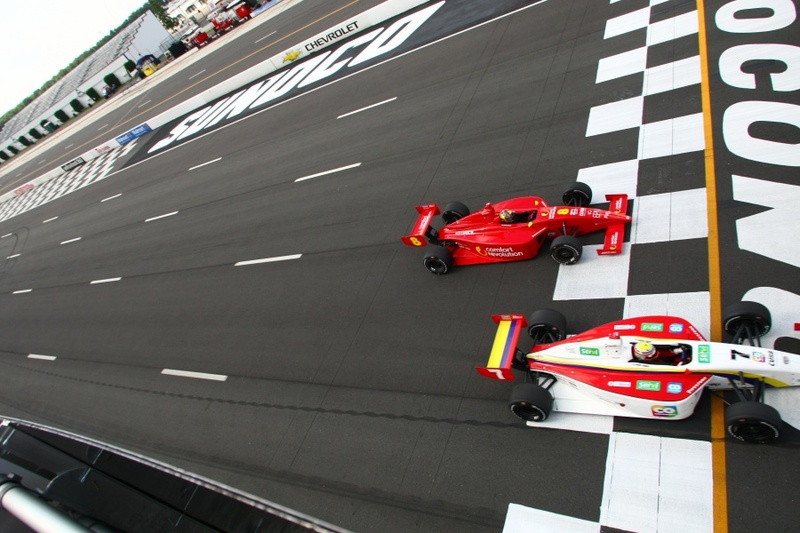 Carlos Munoz of Andretti Autosport captured 3rd place and 2012 Star Mazda champion Jack Hawksworth, another teammate of Karam, finished 4th in the overall standings. Karam, also a high school varsity wrestler, showed patience and “race smarts” throughout the 50 lap race on the 2-mile oval. “I was forced to start in 9th place because we did an engine change. I wasn’t too concerned and I knew I would be able to pass and work my way to the front. I easily caught the lead group and just sat there for a bit. I pulled up alongside side of them and went three wide to remind them I was there, but I had no inclination to bang wheels for a race win. I backed off and tucked in behind and did what I had to do to win the title”, said Sage. Amazingly, it was the 12th podium in all 12 of his Mazda Road to Indy oval races. Karam wins Houston extends championship lead! 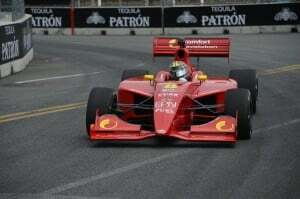 Houston, TEXAS (Oct 5th, 2013) – Extending his Firestone Indy Lights lead to 16 points, Sage Karam’s championship hopes look promising as America’s top open wheel prospect heads into Fontana. Karam took to the challenging street course with a vengeance. Right from the opening practice Karam lead the charts as the one to beat. The street course win was important for the Mazda Road To Indy product. Karam has been totally dominant on the ovals and has finished no less than 3rd place in any of the 11 ovals that he has competed in. But winning on a street course in his rookie season in FIL was a priority. Saturday morning track modifications required the cancellation of qualifying and the cars would be grided in the order of championship points for the start of the race. Sage started from pole and lead every lap from the green flag to the double checkered. With the win, Sage increased his gap in the championship lead to 16 points. The final race in two weeks will be conducted on the oval at Fontana Speedway in California. With the win, Karam has secured three wins this season and has won races in both disciplines, the oval and the street course. Lexington, OH(Aug 3rd,2013)- Sage Karam had an off track excursion in qualifying that resulted in him missing the session for all but the last 2 laps. Even with only 2 laps of qualifying at the end, he still managed to improve two positions to start Sunday’s race in 9th position. “Obviously the Schmidt Peterson Motorsports crew is the only reason I was able to get back on the track and put in those two laps at the end. This team isn’t afraid to work and they showed they believe in me”, said Karam. “I took turn one actually slower than usual while my tires were coming in and it just snapped. Sometimes these things happen, but I am blessed to have such an awesome team to get it together o quickly”. The #8 Comfort Revolution sponsored car is 2nd in the Firestone Indy Lights championship standings. “I am confident that I will take the Comfort Revolution, Just Be Natural and Tag Heuer branded car and put in a respectable result tomorrow”, said Sage. 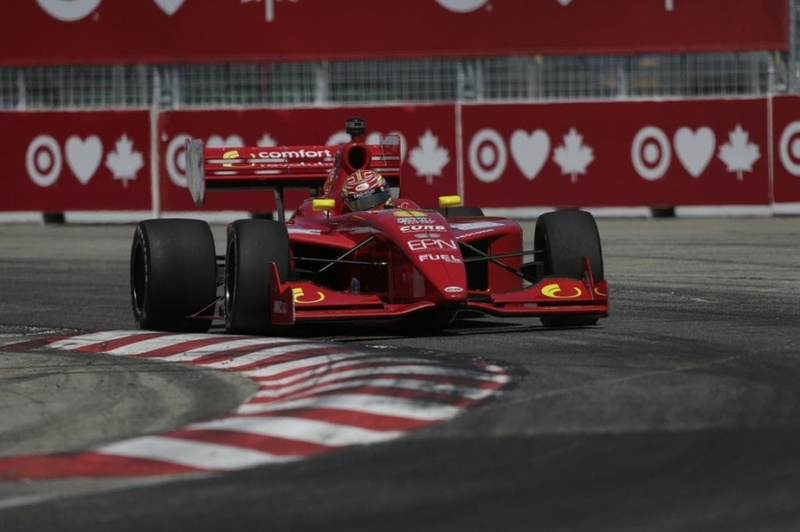 Toronto (Canada) July 13th 2013 – Sage Karam overcame a less than typical weekend while capturing a 6th place finish on the streets of Toronto. Sage suffered a qualifying mishap and missed the session after turning only two laps on the track. “I really had my work cut out for me after missing qualifying. We had some things as a team that we wanted to try in the qualifying session and we never were able to get to them. I made a rookie mistake and it probably cost me a podium or win ultimately”, said Sage. Noted for his ability to pass cars and make up ground on opening laps, many fans were expecting Sage to put on a show for the race. “I saw an opening on the start and went for it going into turn 3. A new driver to the series decided he’d take me down to the wall. It ended up causing me to take my braking point deeper and I missed the turn ending up off track. I should have demonstrated more patience and passed the competitor later in the lap”. Long Pond, PA (July 6, 2013) Sage Karam captured the runner-up position in the Pocono 100 in his Comfort Revolution sponsored machine. The Schmidt Peterson team car was involved in a fight the entire race with his teammate’s car. “Gabby (Chavez) and I had equal cars of course, which permitted us to fight it out. It’s a shame that we weren’t able to take it to the leader, but that’s just the way it goes sometimes”, said Sage. Karam qualified 2nd and got freight trained on the start when his teammate tucked in behind the leader. “I knew that was going to happen, but I just stood on it and put total confidence in my car’s setup to hold the outside line to get the position back”. Only 30 minutes from Sage’s hometown of Nazareth (Pa), Pocono was as close to a homecoming as it gets for Sage. With close to 1000 guests appearing to cheer on Sage, it brought electric to the podium celebration. “It was overwhelming to hear the applause of my friends and fans when they announced me on the podium. I wish I could have won for them. I was shocked at how many people showed up to see me race – it meant a lot to me!”.